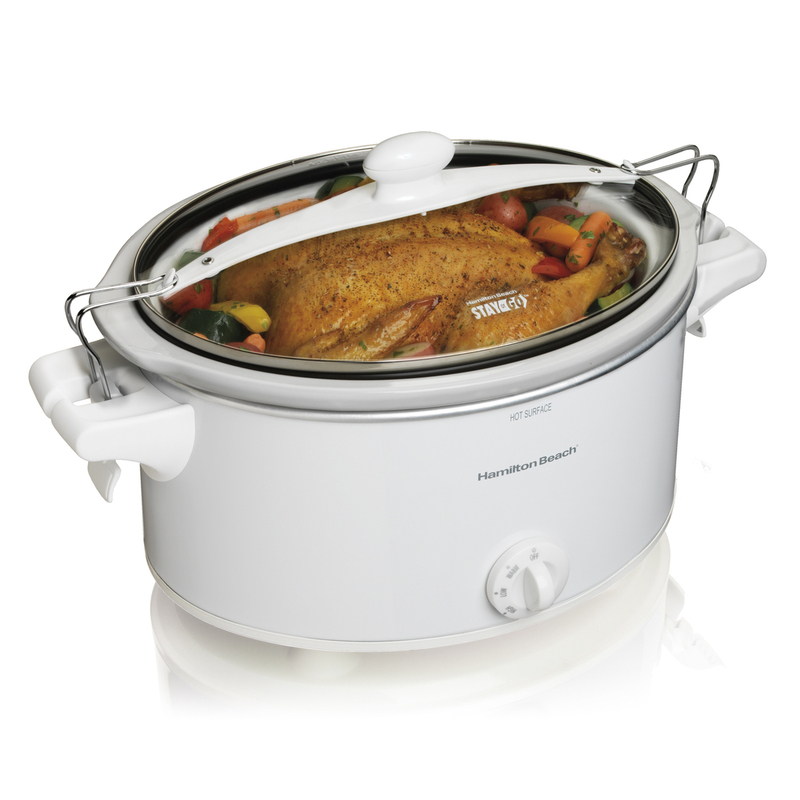 Impressive and easy, just right for a busy family. 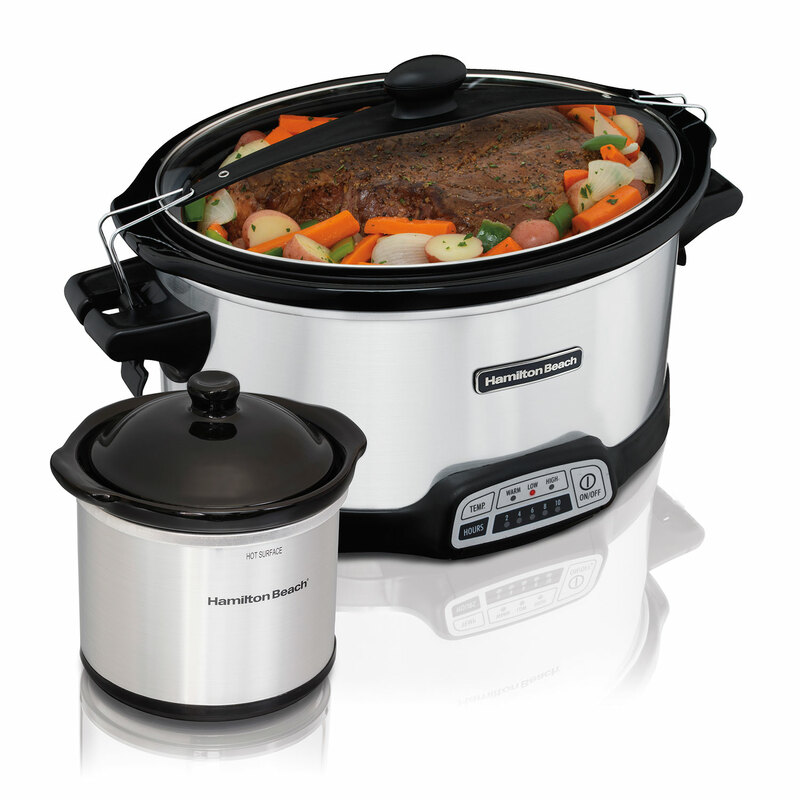 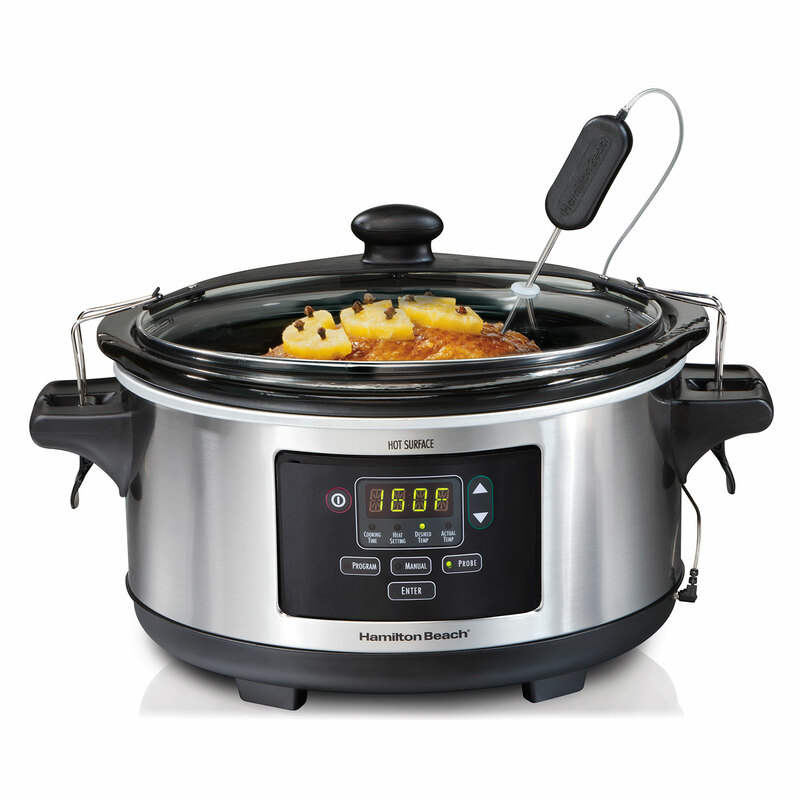 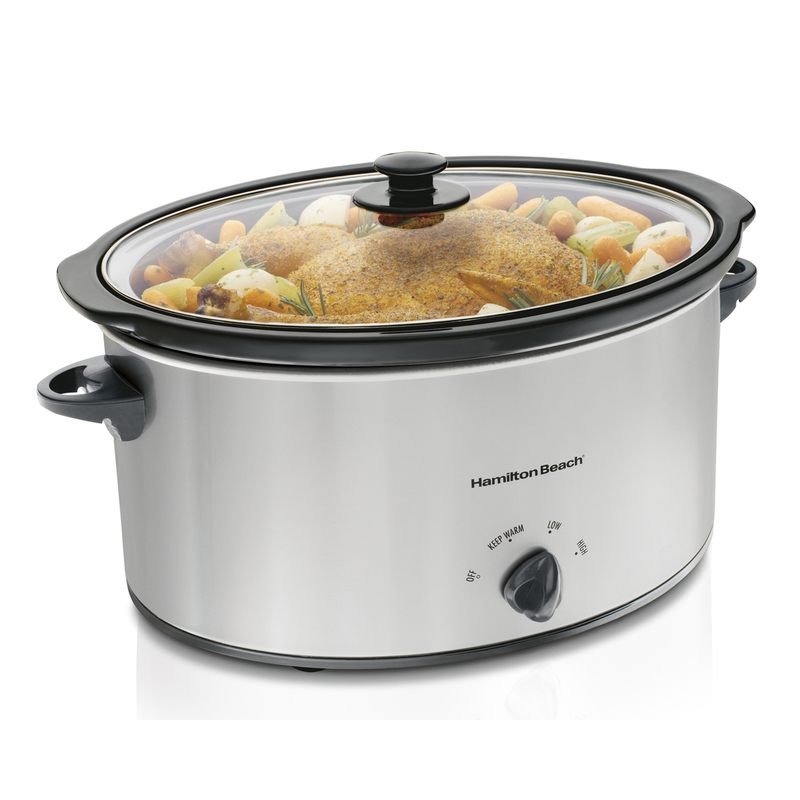 Hamilton Beach® 6 Quart Slow Cookers make dinnertime almost effortless. 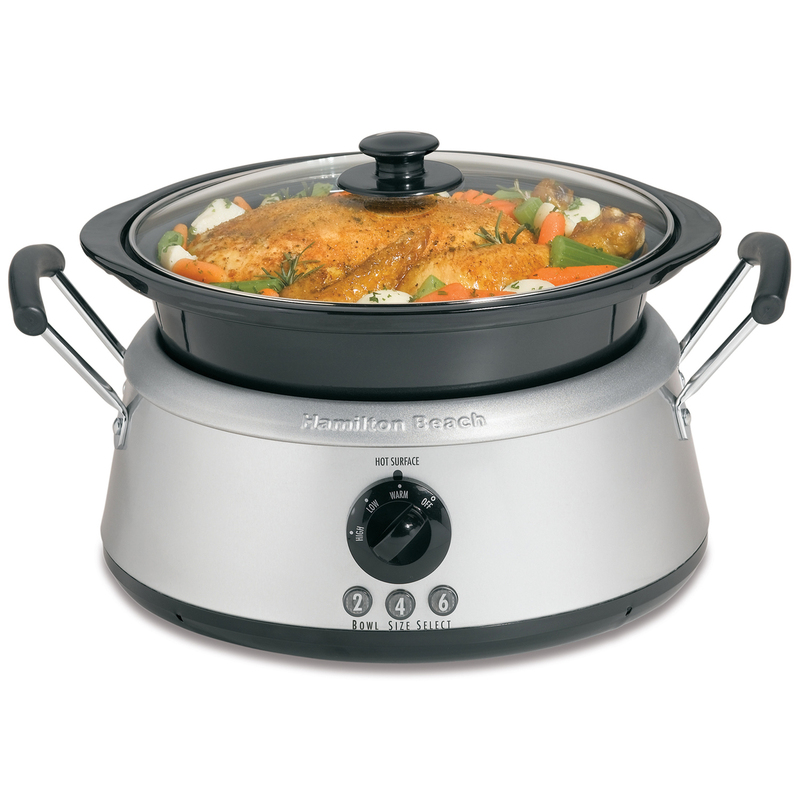 You can cook hot, mouth-watering meals as you go about your day, with no stirring needed. 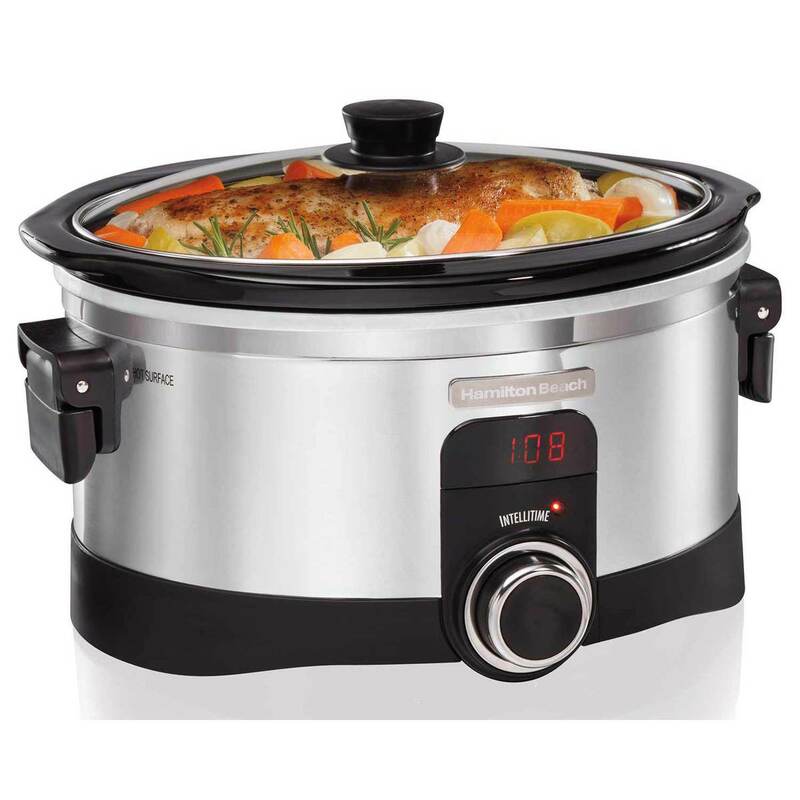 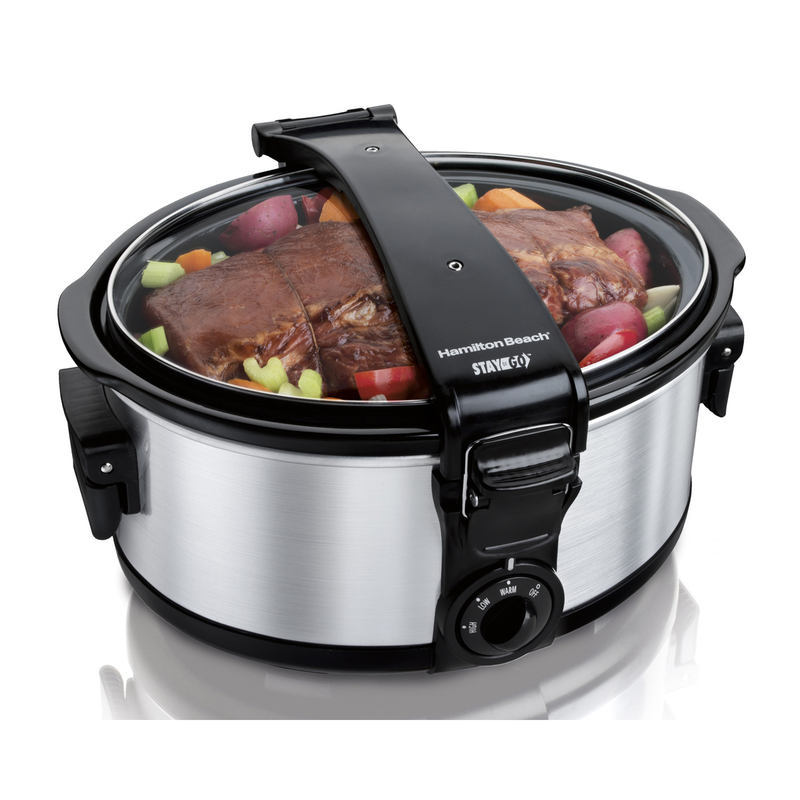 These oval, 6 Quart Slow Cookers take up little space, yet have all the room you need to prepare a large chicken, pot roast or ham. 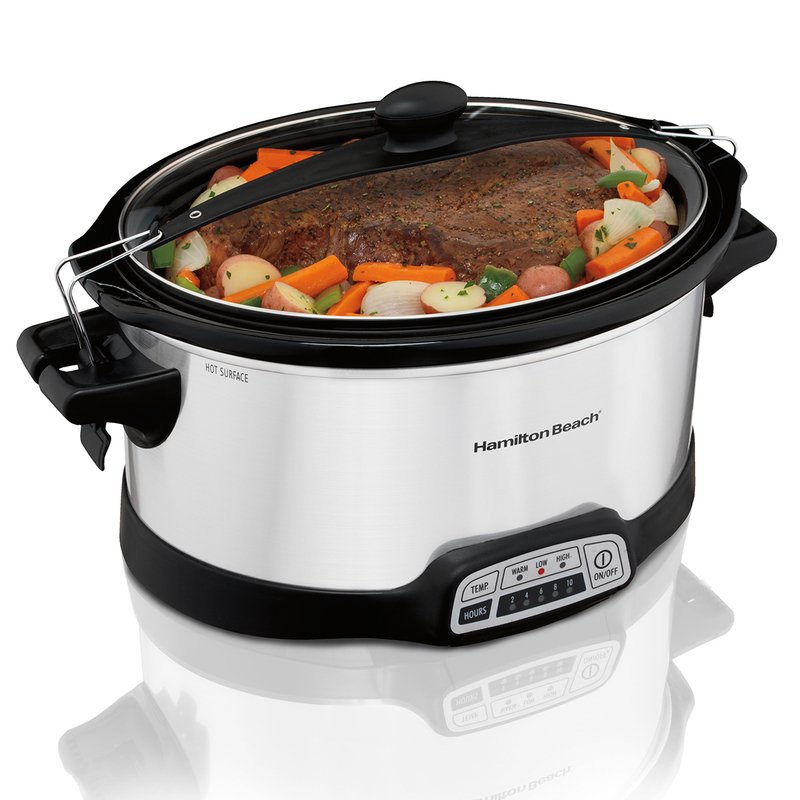 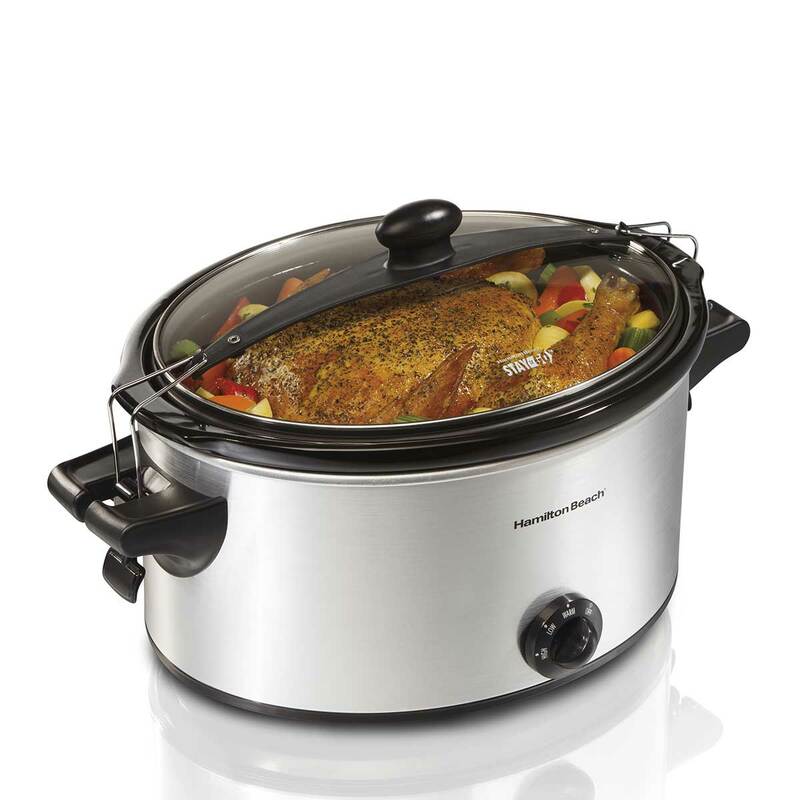 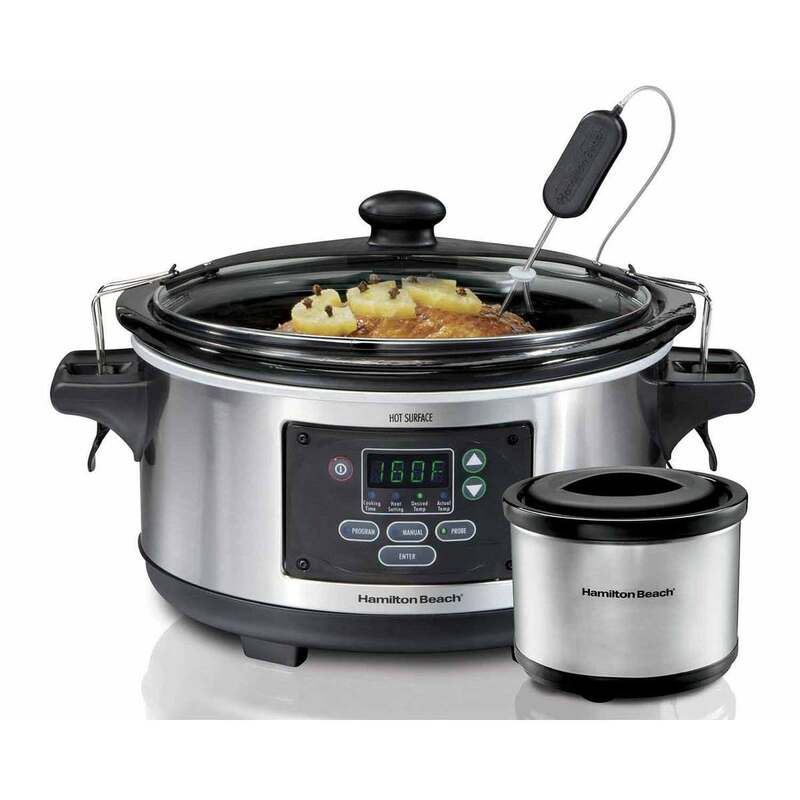 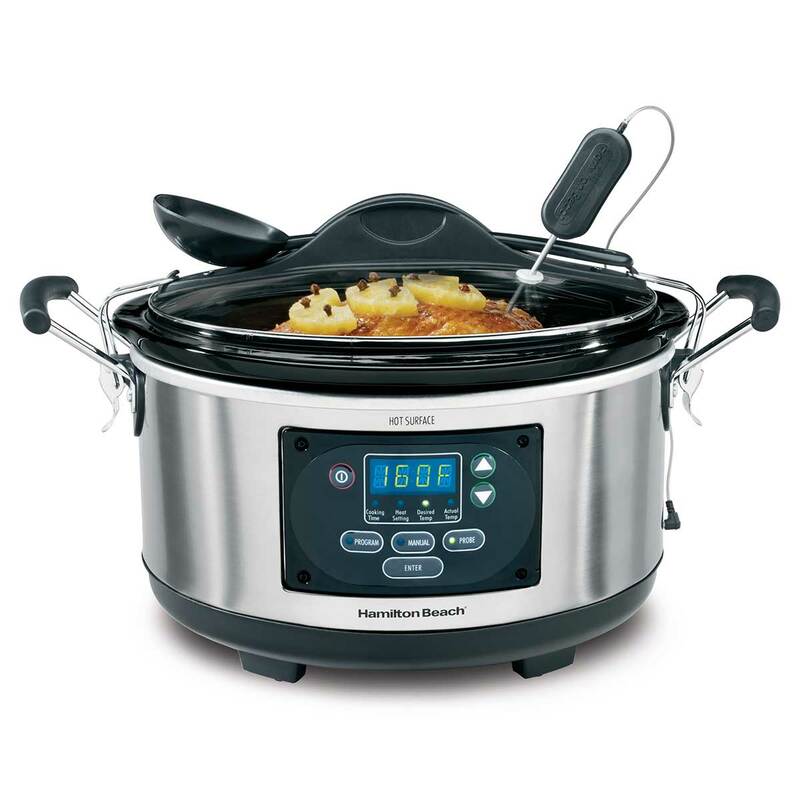 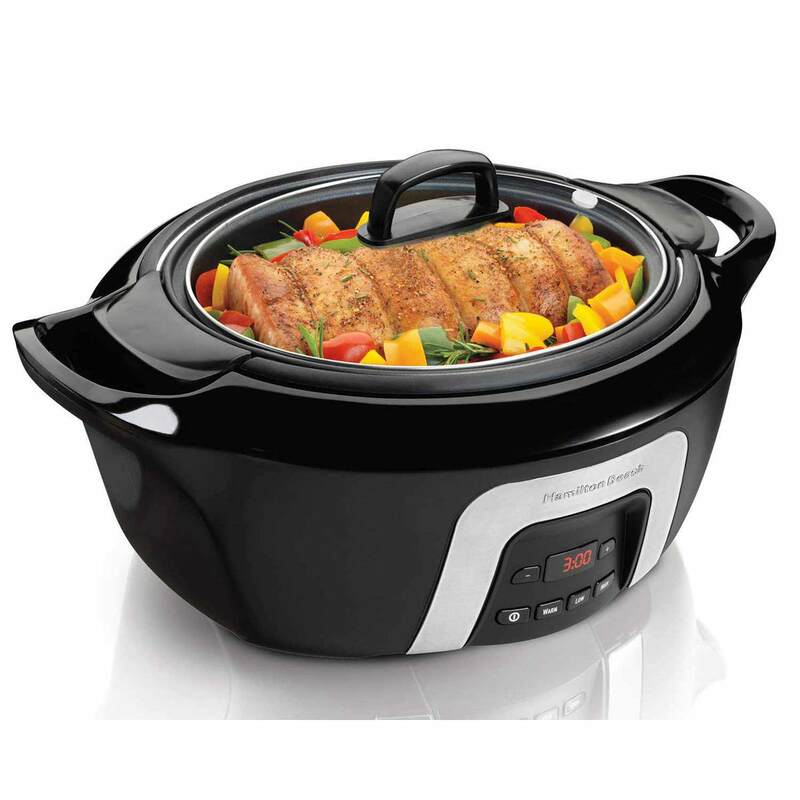 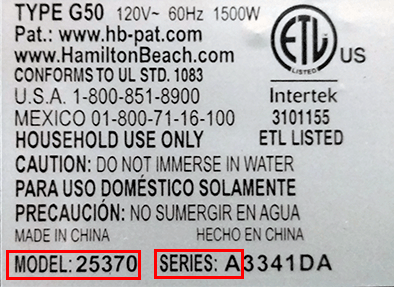 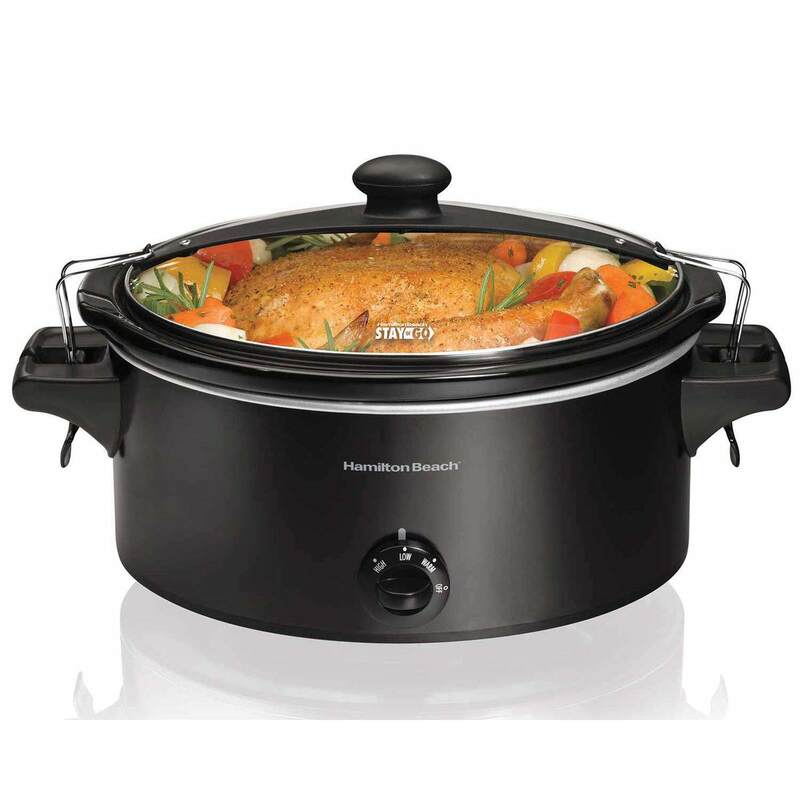 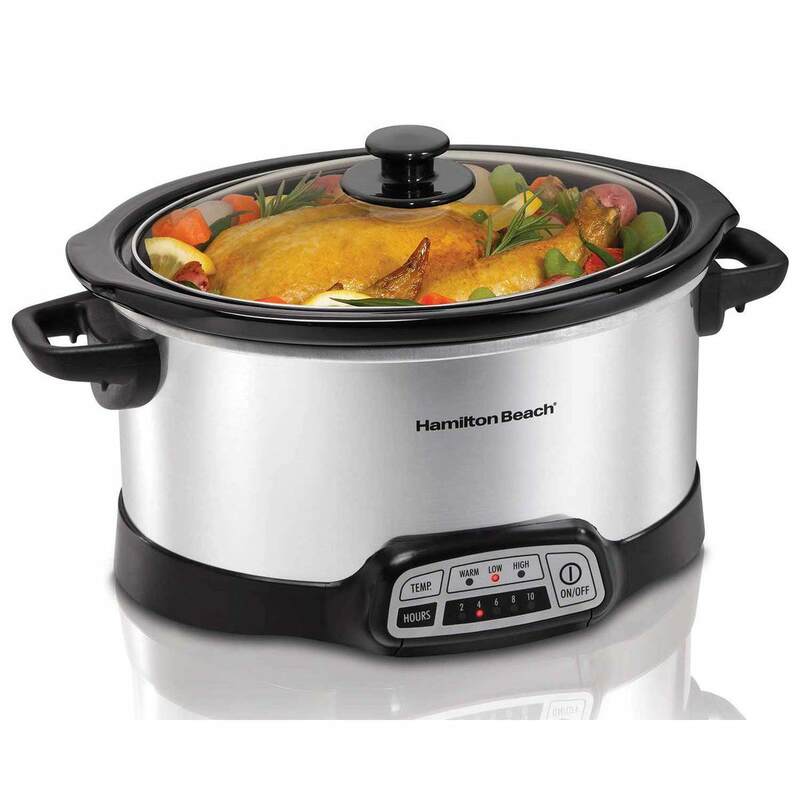 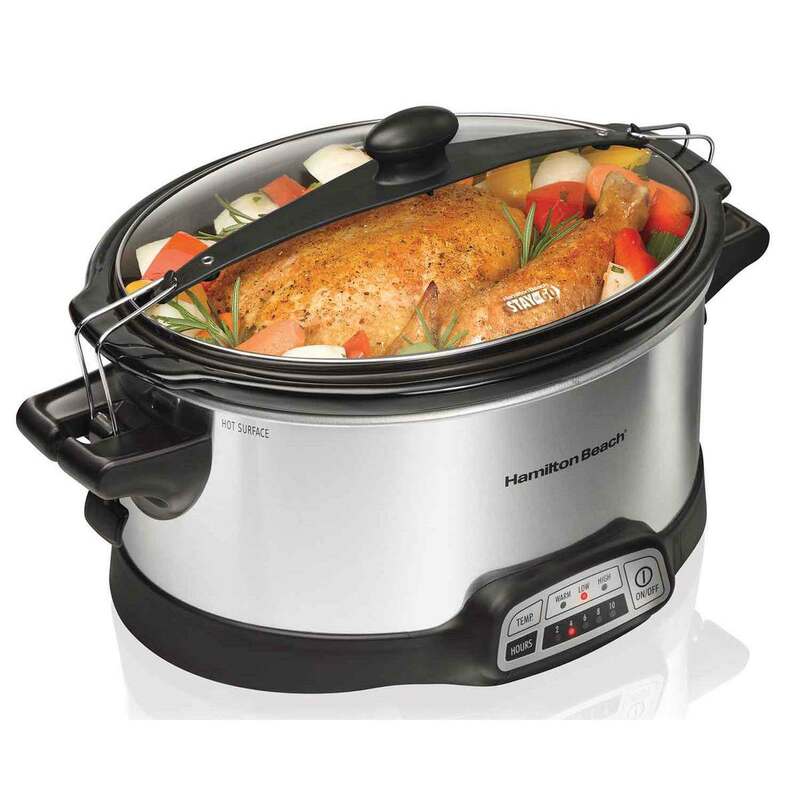 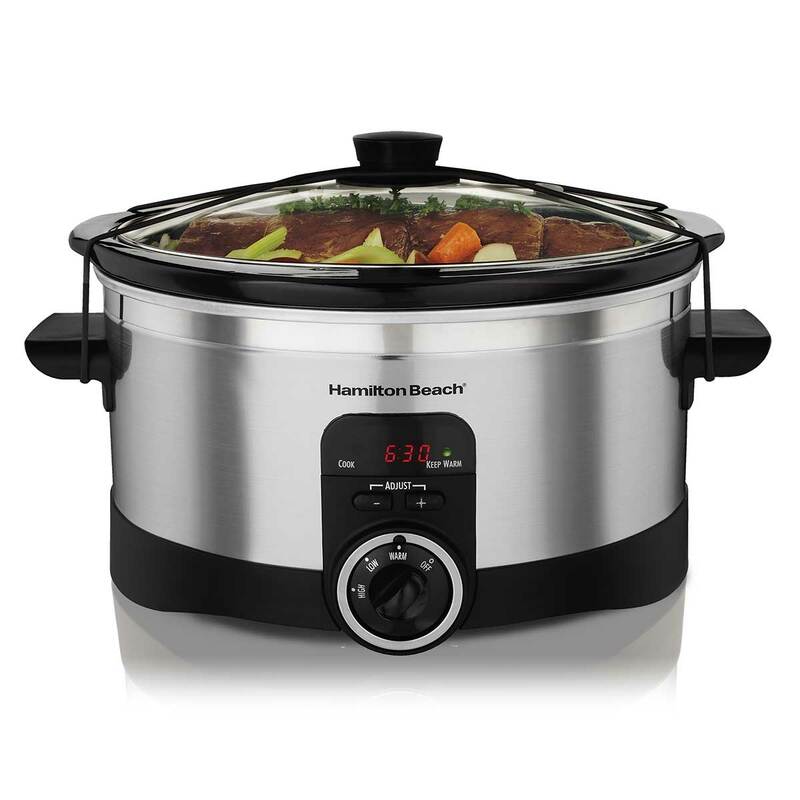 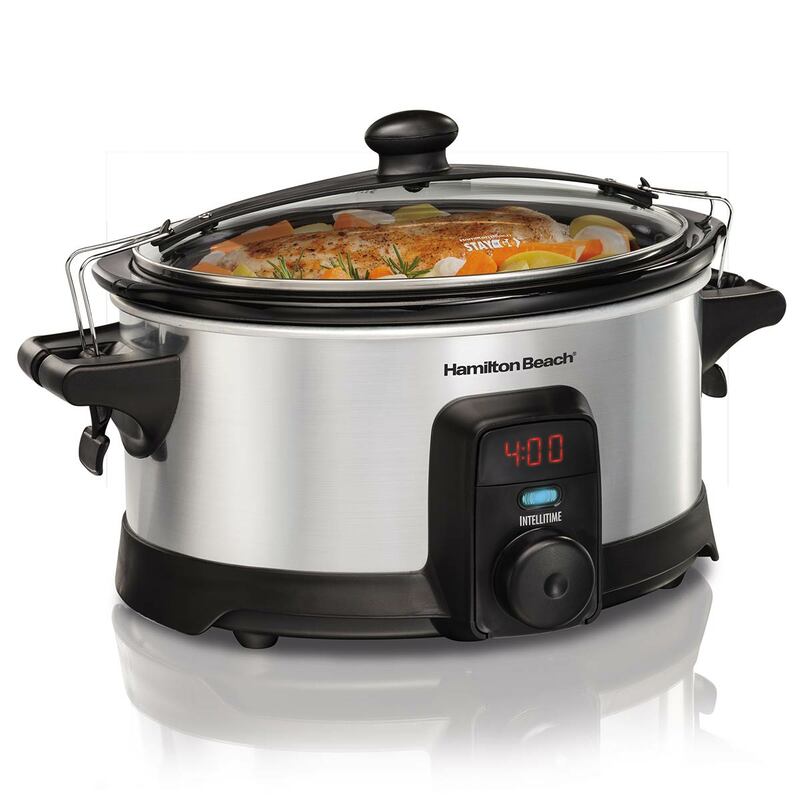 Hamilton Beach® 6 Quart Slow Cookers work well for family dinners, parties or other large gatherings. 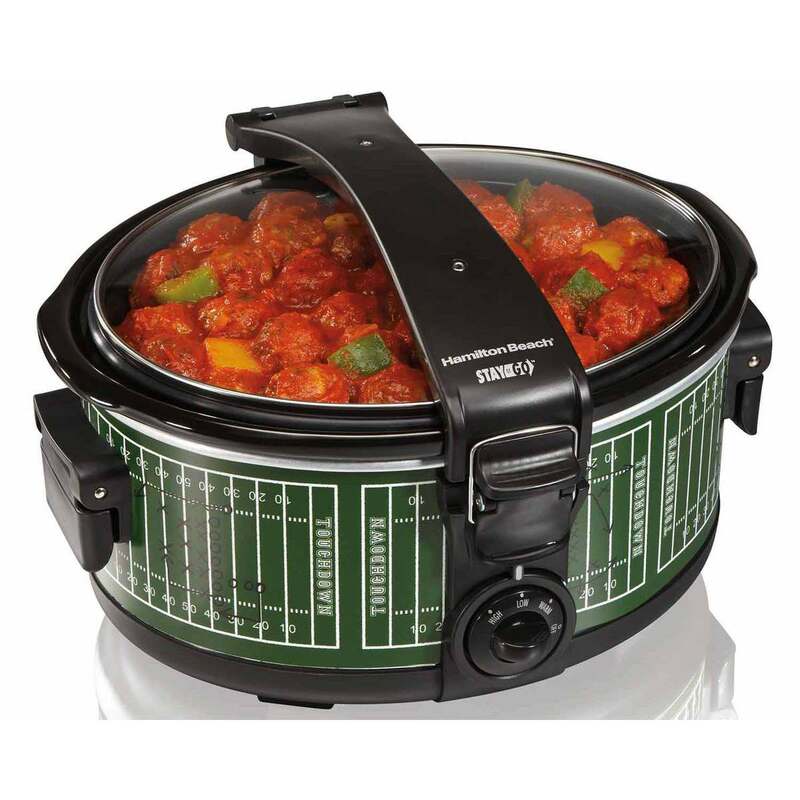 The portable design includes easy-grip handles and some models have a Lid Latch™ strap for meals on the go. 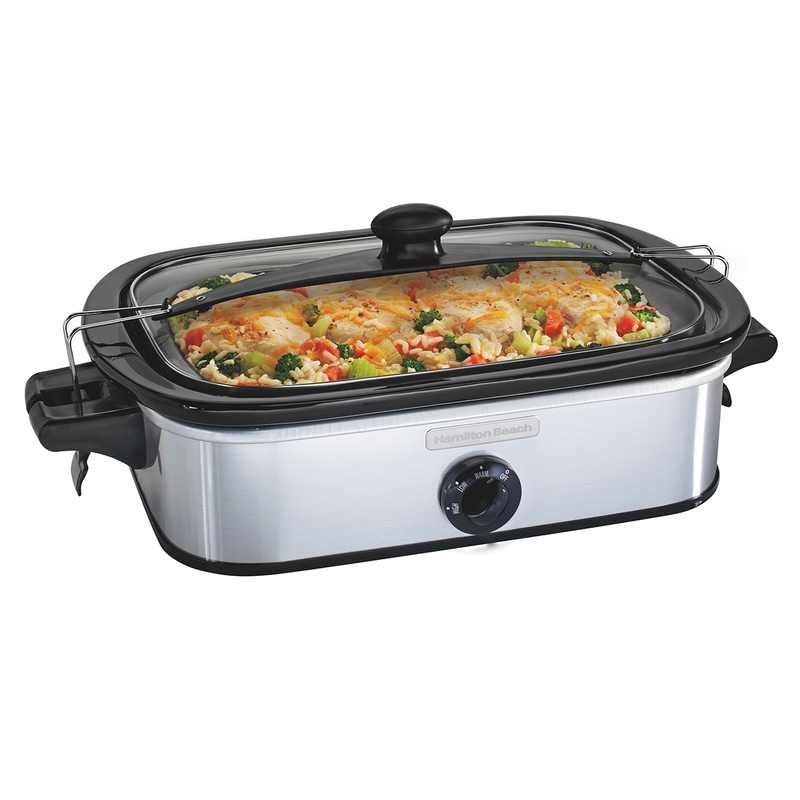 Also, the removable stoneware is dishwasher safe for easy cleanup.